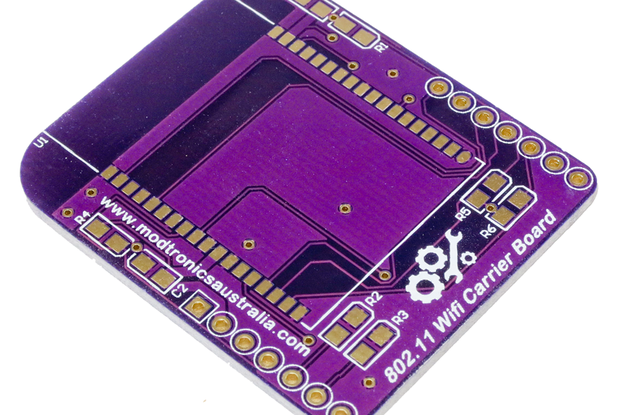 We make and sell a range of ISM band wireless breakout boards - such as our very popular RFM69HW, RFM22B and RFM12B breakout boards. 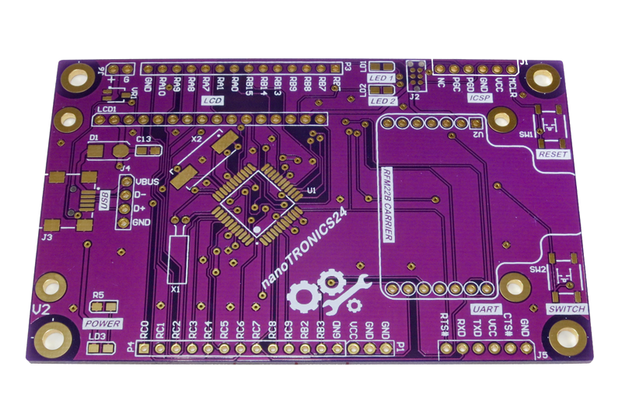 We also specialise in PIC24 and PIC32 microcontroller development boards - these offer an extremely powerful and flexible alternative to Arduino development boards. 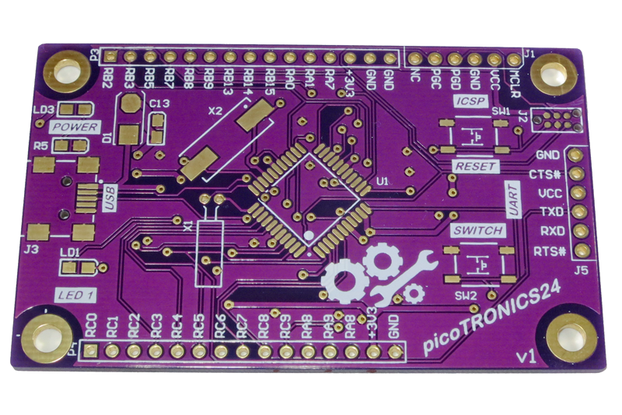 All our products are also available as bare PCBs only. 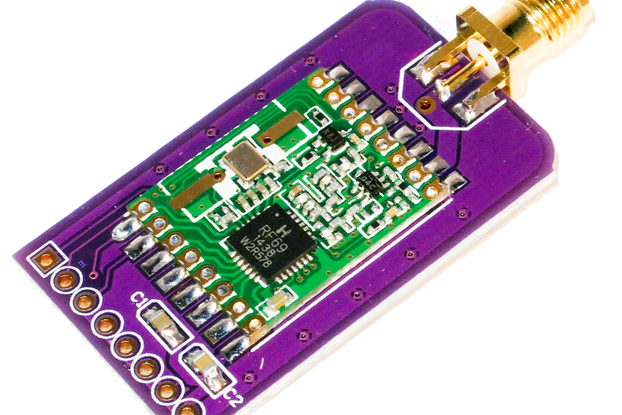 This offers an extremely cheap DIY way to assemble our products yourself. Of course we also sell our products fully assembled and ready to go. Check out our products - we think you'll really like them! Did we mention we ship your order very quickly, to minimise the amount of time you have to sit around waiting - we know you want to start your project now!! Not suitable for breadboard use. 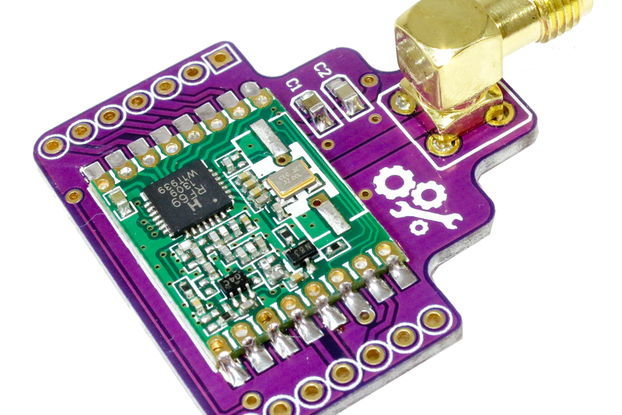 "...The RFM69HW breakout board PCB comes in a 14-pin DIP compatible module, with pins spaced at 2.54mm (suitable for breadboard use) and uses an SMA male connector for the antenna (not included with the bare PCB)...."
Must be different breadboards in the US than in Austrailia. The pin spacing of 2.54 mm matches but every breadboards that I can locate in the lab are 5 pins wide each side but the RFM69HW breakout board PCB pin row to pin row are like 1 row wider. See enclosed picture. Overall quality is very nice but unless you have a breadboard that can mate to this, it is not usable in that capacity. Thanks for the feedback and review - we really appreciate all feedback on our products and are very happy you liked the quality of our product! Superior quality is something we really strive to achieve. I'm sorry to hear about your experiences using our module with your breadboard. 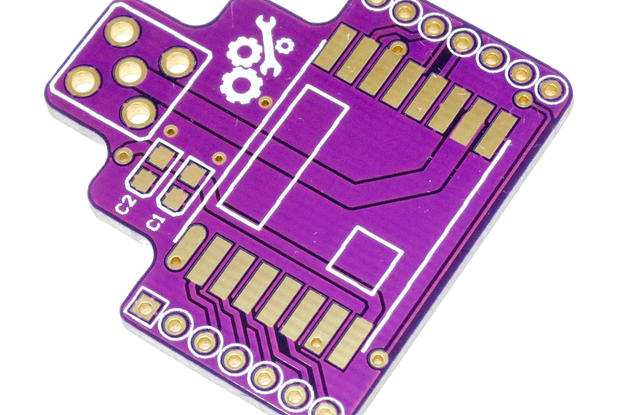 All our RFM breakout boards (inc RFM69HW) are designed to work with breadboards, solderable protoboards and our of course own nanoTRONICS microcontroller platform. 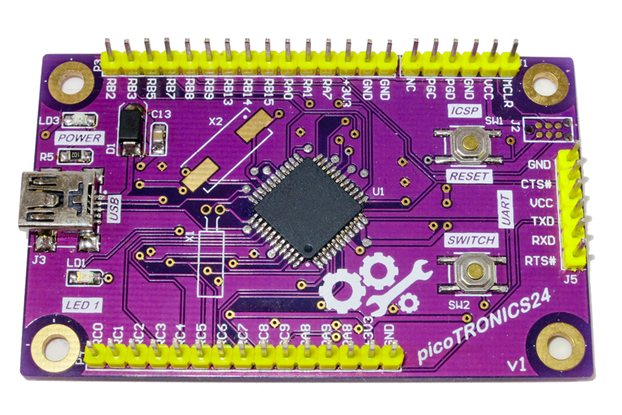 When using it with a breadboard we tend to use a bigger breadboard than the one you seem to be using, as we're often doing large projects. The breadboards we use are similar to this one http://www.amazon.com/gp/product/B008MOLF28/ref=as_li_tl?ie=UTF8&camp=1789&creative=390957&creativeASIN=B008MOLF28&linkCode=as2&tag=elecreviblo04-20&linkId=7ESQL7YGGJZWCYMM. Similar breadboards are readily available at Australian retailers and thus what we've always used them. 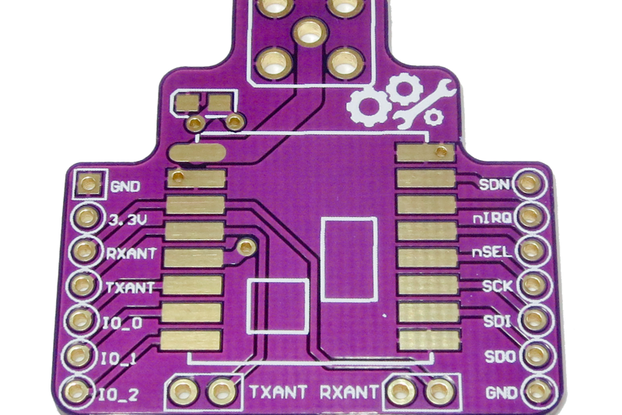 I'll update our listings in the near future to provide an example (recommended) breadboard. In addition to striving for excellent quality products we also pride ourselves on our customer service. As such we'd like to make your experience with our products as enjoyable as possible. If you'd rather not upgrade your breadboard, please get in touch - either via our website or the Tindie message service and we'll see what we can do to increase your enjoyment of our product. 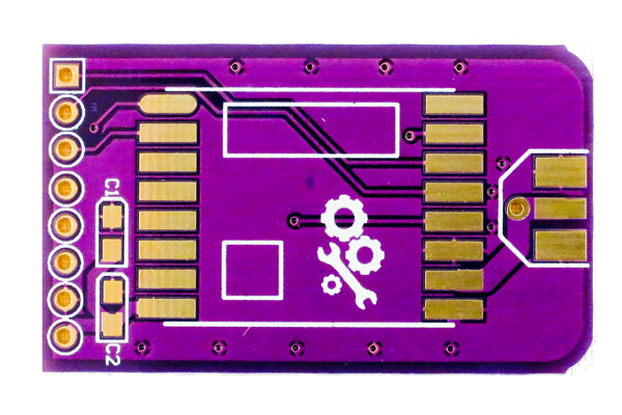 We have a new slim RFM69HW breakout board launching soon. 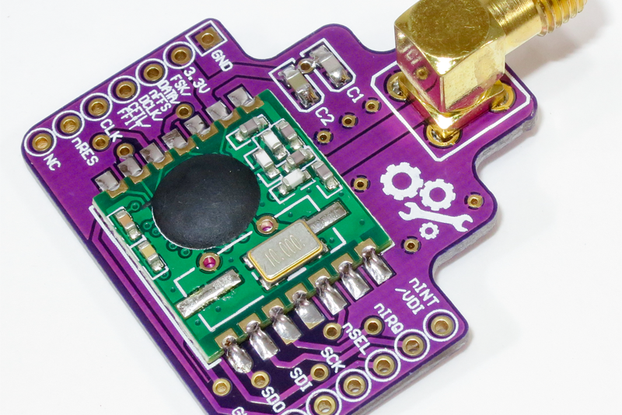 The slim RFM69HW breakout board is smaller in size and breaks out only the essential RFM69HW pins to a single SIL socket. Perhaps this would be a more suitable product for your use? This product is currently undergoing beta testing with selected customers - perhaps you'd like to participate in this beta test program. Again, if this is of interest to you please get in touch and we'll sort out the arrangements. Once again, thank you for your feedback, it is an invaluable way for us to improve our products for future releases.